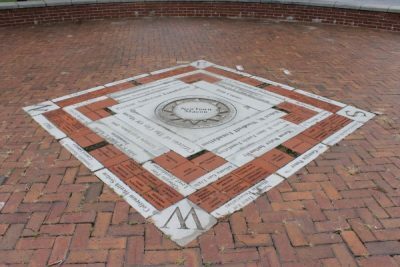 This engraved brick and granite compass rose commerates the NewTown Macon organization's 1999 Big Picture Campaign. The generous donor's names surround the compass rose. 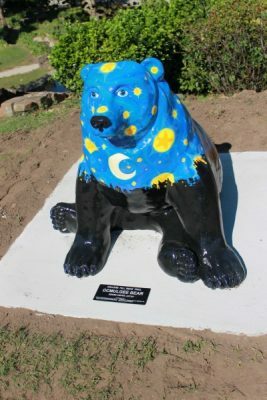 The Ocmulgee Bear, painted by Ivey, Georgia artist Denise Kiefer, is also known by the title "Spirits in the Sky." This bear, which is the only seated bear of the group, features a vibrant night sky revealing a Native American spirit watching over the silhouetted skyline of Macon and the Ocmulgee National Monument. 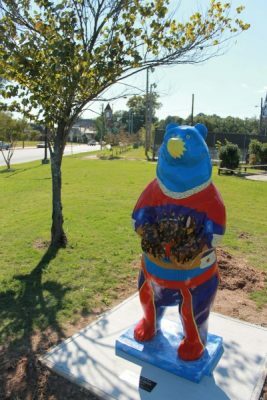 Inspired by the combination of centuries of history prior to the settlement of the city of Macon and the more recent history of Macon and Bibb County, this bear celebrates all the people who have called the banks of the Ocmulgee River home. The shape of the seated bear even mimics the shape of the Ocmuglee mounds depicted on its body. The Rosa Parks plaque located in the Rosa Parks Square was the only thing recognizing Rosa Parks in Macon for the longest time. 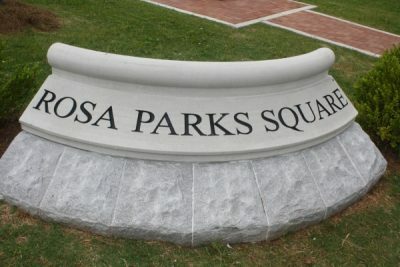 Macon decided there needed to be more recognition of this and their action in response was to place a new sign reading “Rosa Parks Square” on the corner of 1st and Poplar Street. 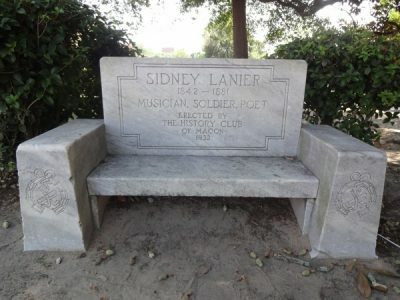 In addition, there are benches placed as well as a granite wall for the plaque to sit on. City Council members have declared that the plaque brings more recognition and education about Rosa Parks to the city of Macon. 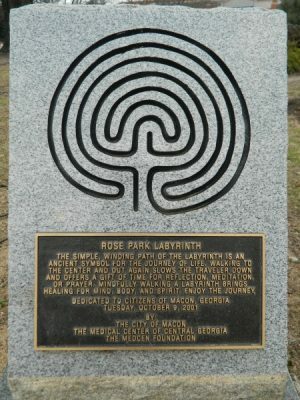 Installed in 2001 by the City of Macon and The Medical Center of Central Georgia, the Rose Park Labyrinth offers visitors a chance to decompress and meditate as they slowly follow its brick path. 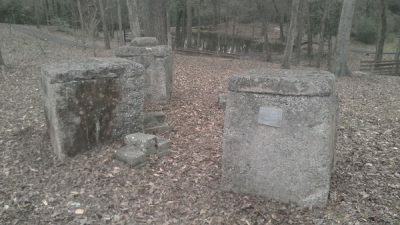 The labyrinth is situated in Rose Park, a very quaint spot complete with benches and shade trees atop the crest of a hill. The site also offers a beautiful view of the downown Macon area below. Rodney Maxwell Davis (April 7, 1942 – September 6, 1967) was a United States Marine who posthumously received the Medal of Honor for his heroism during the Vietnam War. 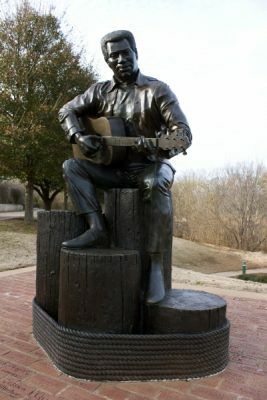 Davis was born on April 7, 1942, in Macon, Georgia to Gordon N. Davis and Ruth A. Davis. He attended elementary school and high school there and graduated from Peter G. Appling High School, May 29, 1961. Shortly after graduation, he enlisted in the United States Marine Corps in his hometown, August 31, 1961 Ordered to the Republic of Vietnam in August 1967, he was assigned duty as a Platoon Guide with Company B, First Battalion, Fifth Marines, First Marine Division. On September 6, 1967, he was operating with his unit in the Quang Nam Province on a search and clear mission during Operation Swift, when they were attacked by a large North Vietnamese force. Elements of the platoon were pinned down in a trench line by mortars, heavy automatic and small arms fire. He went from man to man encouraging them on and also returning fire at the same time. An enemy hand grenade fell in the trenches his men were fighting from and without hesitation he threw himself upon the grenade. He saved his fellow Marines in this selfless act and thus earned the nation's highest military decoration: the Medal of Honor. Presentation of the Medal was made posthumously to his widow, Mrs. Judy P. Davis, by Vice President Spiro T. Agnew in his office. The Presentation is "in the name of the Congress of the United States." 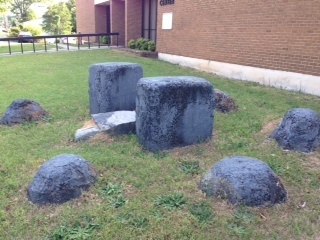 The Stamp Bear was created by Macon artist Heatherly Wakefield (formerly Darnell), with the help of her then husband-to-be Eric Wakefield. Painted to look as if the bear had been covered in postage stamps, the Stamp Bear is fittingly located across the street from the U.S. Post Office. Each of the stamps which cover the bear feature local historical figures, cultural icons, arts and community organizations, conceived as though Macon and Bibb County had issued stamps featuring many of its local treasures. While the beauty of the bear is undeniable, it also serves as a fun way for parents to teach their children about the community in which they live and a great way for tourists to learn about the rich history of Macon. 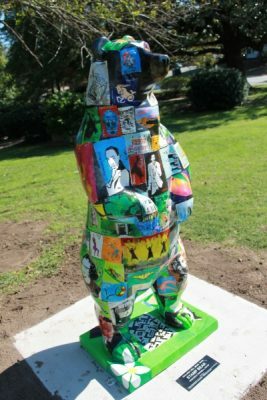 The Symphony Bear was created by Macon artist Heidi Clinite, a classically-trained violist. 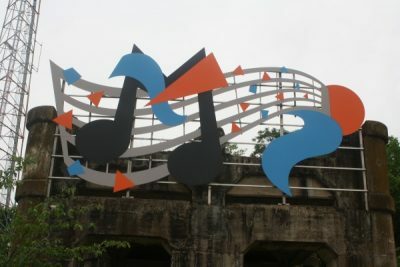 She designed the bear to celebrate two of Macon's cultural and musical treasures: The Macon Symphony Orchestra and The Grand Opera House. The bear depicts a performance by the orchestra at the Grand Opera House. The curtains framing the orchestra transform into a red tuxedo coat, in which the bear is dressed. Onlookers can almost hear the beautiful music of the symphony as they gaze upon this colorful bear. 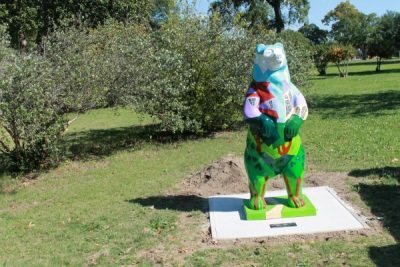 The Tattnall Park Bear was created by Macon artist Connie Redd and was inspired by Tattnall Square Park and the skyline of Mercer University which borders the park. 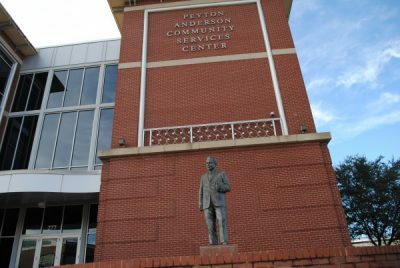 Located directly across the street from Mercer's campus, this bear signifies the important role that Mercer has played as a community partner in Macon and Bibb County . 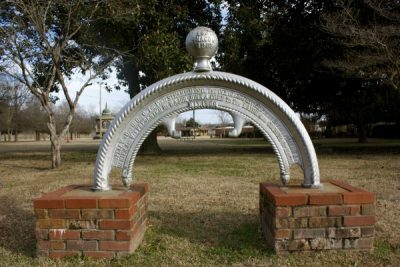 The College Hill Corridor project, which is responsible for the Knight Neighborhood Challege grants which funded the bear trail project, was conceived by Mercer students as a class project. 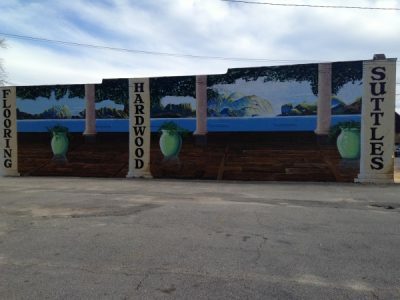 Since the project's master plan was created and approved, the corridor has brought more than $5 million in private funding into the corridor to be used for revitalization and community improvement efforts. 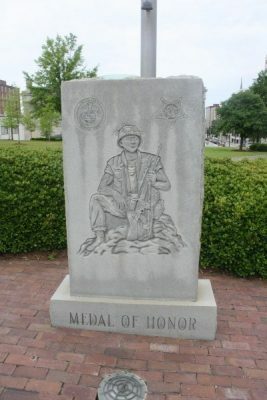 The Vietnam War Memorial was dedicated and unveiled at Rosa Parks Square across from City Hall in Macon, GA on May 31st. 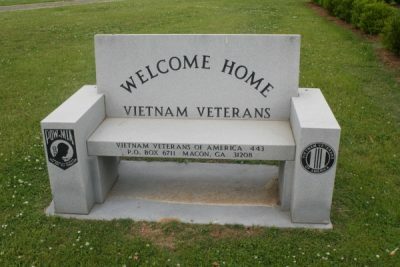 The donor was the Macon VVA Chapter 443. 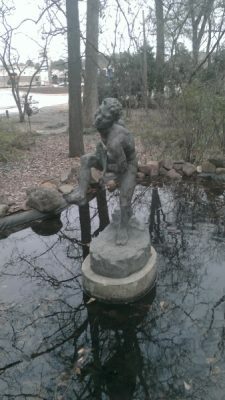 This water feature imitates that of a small creek. The water source originates on top of the hill near the Washington Park Library and cascades down a series of waterfalls into a meandering creek that winds throughout the lower sections of the park. The creek then empties into a large fountain/reflecting pool. 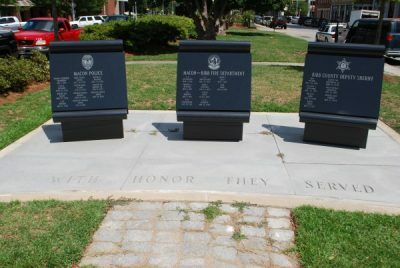 Memorials to Macon Police Officers, Macon-Bibb Firefighters and Bibb County Deputy Sheriffs fallen in the line of duty. 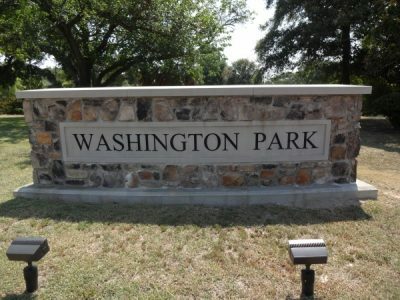 Located in Messenburg Park. The memorial was erected in 1937. 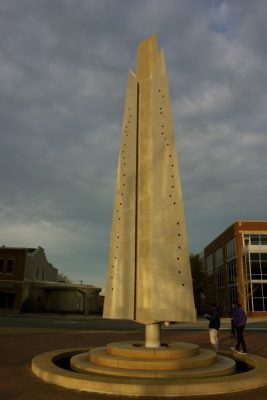 It is in the shape of an obelisk. There are etchings around the top of the memorial. 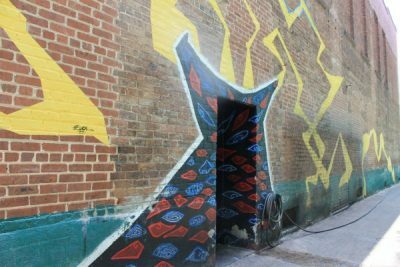 The base has three narrow steps around it. 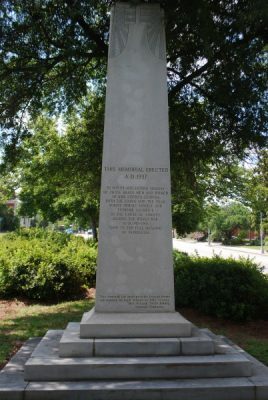 The memorial is dedicated "in honor and loving memory of those brave men and women of Bibb County, Georgia, both the living and the dead, whose heroic service and supreme sacrifice in the cause of liberty during the World War (A.D. 1917-1918) and gave us the full meaning of patriotism. 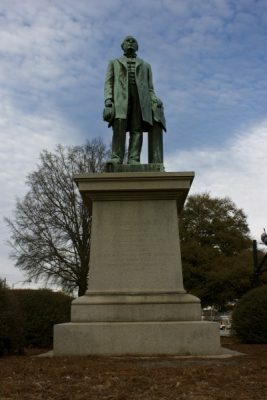 This memorial was made possible through private subscription of loyal friends in Bibb County where Mrs. William Oscar Kinney was the General Chairman. 1993 condition: good.